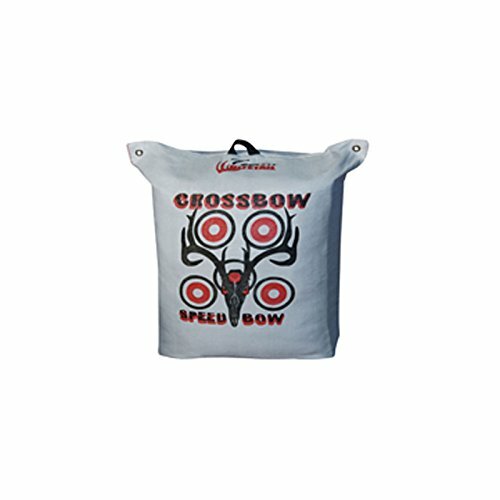 Durable bag target designed to take a pounding from crossbows and high speed compound bows. Constructed of an internal frame design. Features numerous aiming points on one side for tuning your groups and deer vitals on the other for practicing shot placement. The rugged 5 oz. cover features grommets for hanging and a heavy duty handle. Target dimensions: 21" x 24". Weight: 32 lbs. Target dimensions: 21" x 24". Weight: 32 lbs. If you have any questions about this product by BIGSHOT ARCHERY, contact us by completing and submitting the form below. If you are looking for a specif part number, please include it with your message.